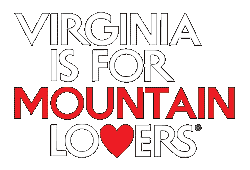 Giles County, VA- The third in a quarterly series of educational and free workshops is happening Thursday, June 29, 2017. 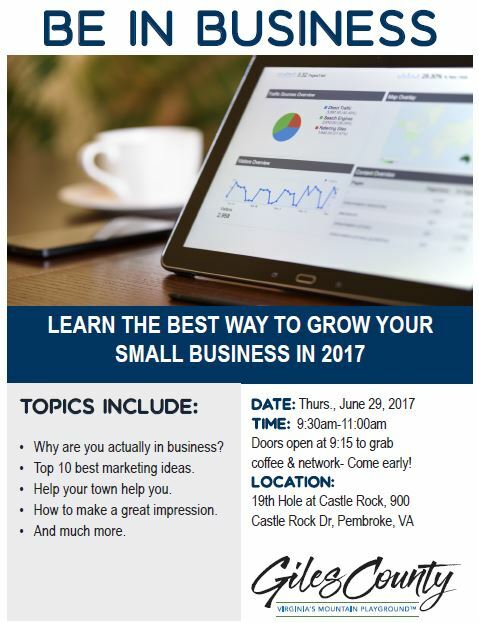 The “Be in Business” workshop, presented by the Small Business Development Center and Mr. Bart Smith will be held at the 19th Hole at Castle Rock in Pembroke. This workshop is geared to small and potential businesses including entrepreneurs and staff. Topics to be covered include a self-reflection exercise on why to actually be in business, marketing tips and advice, local resources available to your business, and how to make a great impression on customers and suppliers. Presented by the Giles County Office of Tourism Marketing in partnership with the Giles County Chamber of Commerce this workshop was brought to Giles County based on survey responses from previous events and business partner’s needs as identified through the Tourism Strategic Plan. Offering and participating in educational opportunities for our local business community is one way to enhance the small business climate in Giles. For the workshop on Thursday, June 29 the doors will open at 9:15am that allow guests and participants to network with each other and the presenter. Being mindful of time and schedules the presentation will begin at 9:30am. The entire workshop will be complete at 11am for those needing to return to their place of business, but the presenters will be available for any additional assistance or to set appointments for future, more extensive support. This is a free business development workshop but please RSVP to Cora Gnegy, Tourism Marketing Director at 540-921-2079 or cgnegy@gilescounty.org. These workshops have been beneficial to attendees over the last year and this opportunity is sure to do the same. Questions can be directed to Tourism Marketing Director, Cora Gnegy.